Newspaper Contacts – Protect Water for Future Generations. Letters to the editors on any number of topics relating to uranium mining in the Black Hills region can help, so fire up your computer and help us inform our friends and family, our community how we feel about the treat of water contamination. Remember, Water is Life. We don’t want uranium mining in the Black Hills. Uranium is radioactive, and the mining process contaminates water, air, and soil. 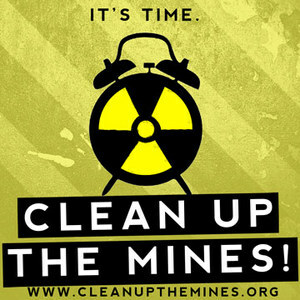 It is simply impossible to mine uranium without releasing radiation. Everyone knows that radiation is bad for people – also plants and animals. Research has linked uranium mining to cancer, genetic damage, and kidney problems. In fact, the health problems from uranium mining are so severe that the Colorado Medical Society, the main voice for doctors in the state, voted to oppose proposed uranium mining. We owe ourselves and our children clean water and good health. The easy way to avoid the risks of uranium mining is to stop it before it starts. Can’t find the paper you’re looking for? Look here.